This affordable lab water system is used on tap water and produces 18.2 megohm-cm ultrapure, reagent grade water at a flow rate of 2-Liters/minute. A built-in UV Oxidizer/Sterilizer reduces TOC to < 5 ppb, prevents the growth of microorganisms within the system, and alerts you when it is time to change the lamp. Continuous recirculation is utilized to maintain maximum water purity. Therefore, ultrapure water is instantly available on demand up to 7 feet from the system via the included hand held remote dispenser. Water quality is monitored by a temperature-compensated Conductivity/Resistivity meter with a digital display. The meter has a Green LED to indicate that the water quality is above the acceptable purity. 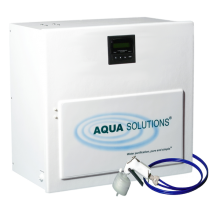 When the water quality drops below the desired purity, a Red LED alerts the user that it is time to replace the filters. 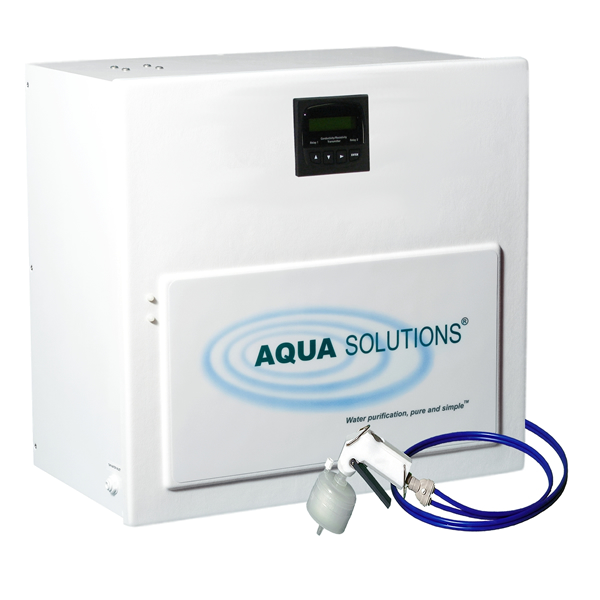 A High Flow/High Capacity (8-12 Liters/Min) version of this system is also available (see Model: 2036AL).